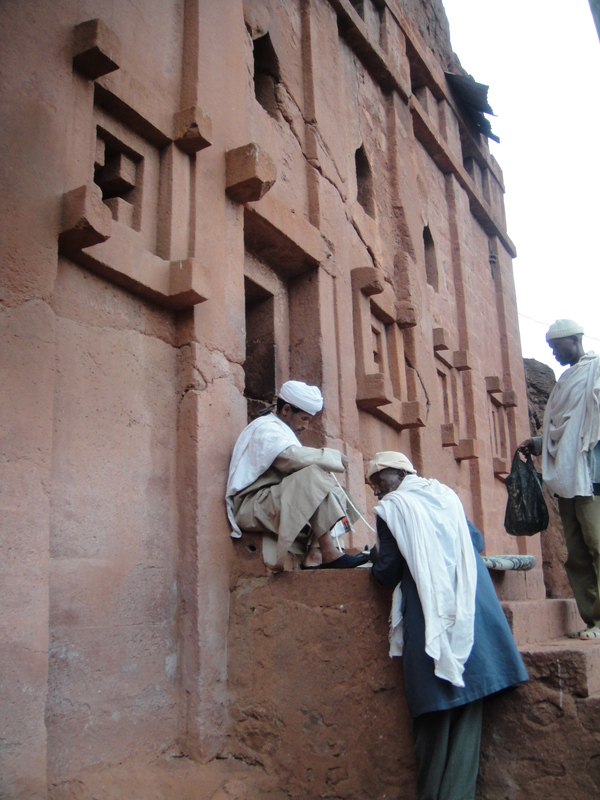 Although smaller in size than the northwestern group, the southeastern cluster offers not only one of Lalibela’s most finely carved churches, but also a touch of intrigue with various historians debating whether some churches had pasts as prisons and palaces. 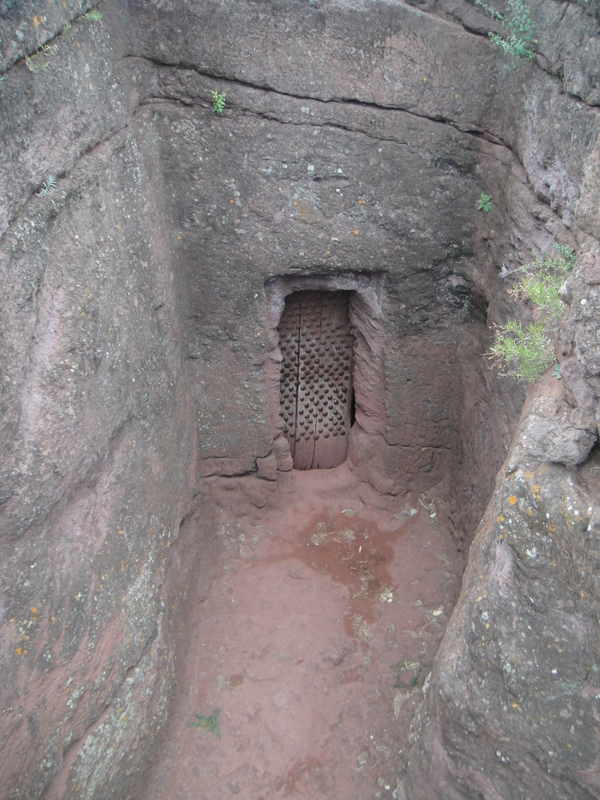 Before I proceed though… I received a couple of emails in response to my previous posts on Lalibela’s rock-hewn churches with questions about the construction methods used. 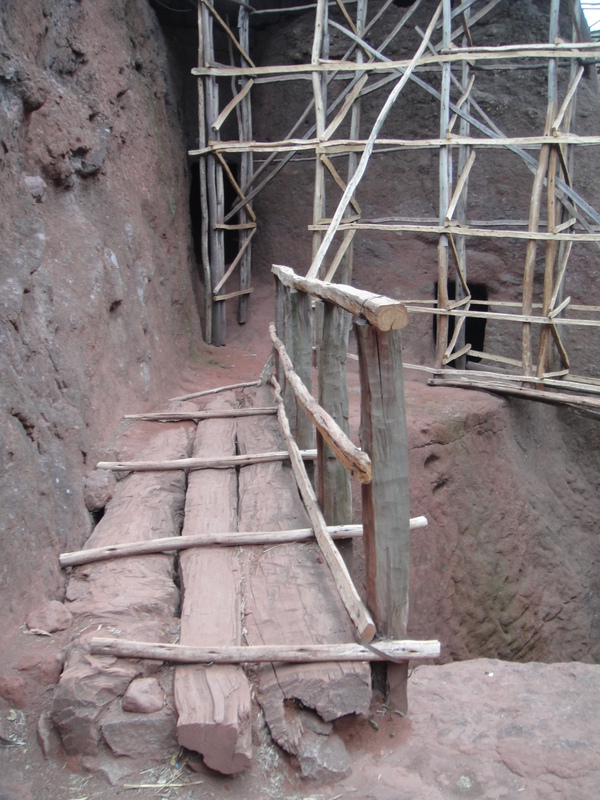 So let me reiterate: The churches of Lalibela were not constructed — they were excavated. 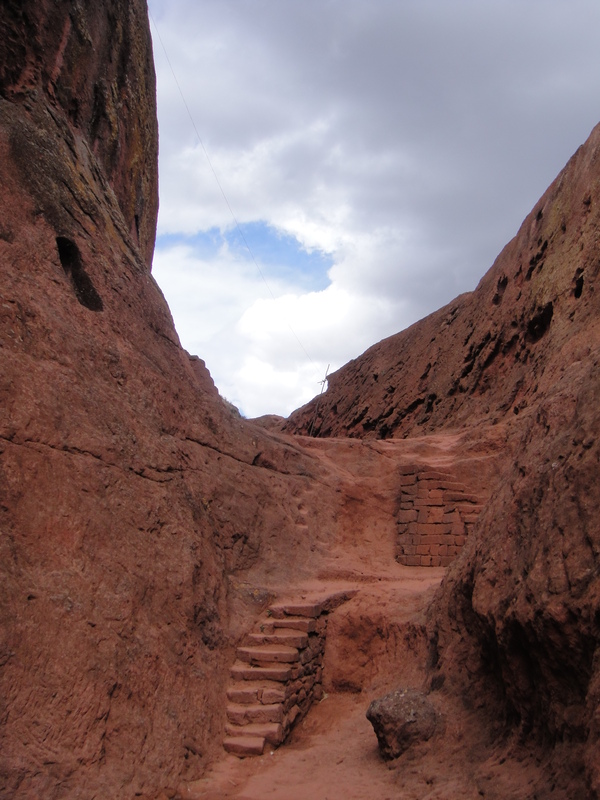 Each church was created by first carving out a wide trench on all four sides of the rock, then painstakingly chiseling out the interior. The largest church is 40-feet high, and the labor required to complete such a task with only hammers and chisels is extraordinary. 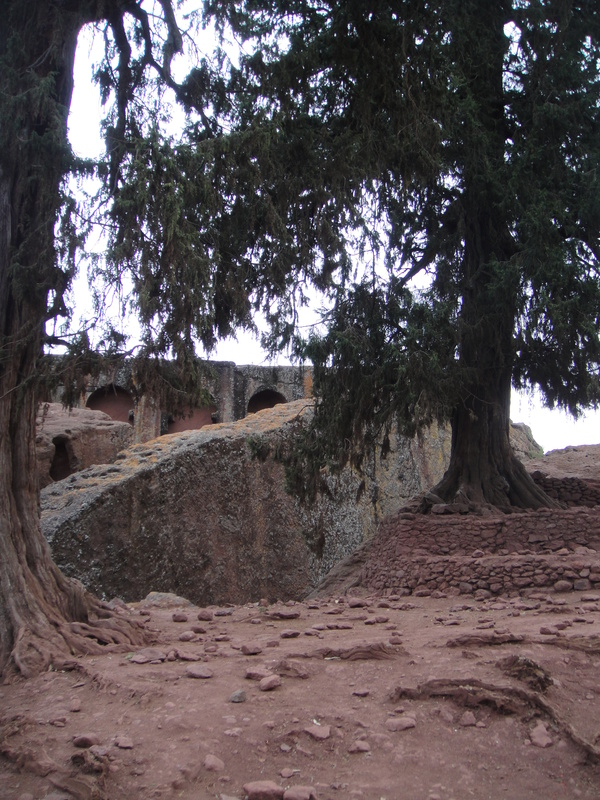 The first church we visited in the southeastern group was Bet Abba Libanos. 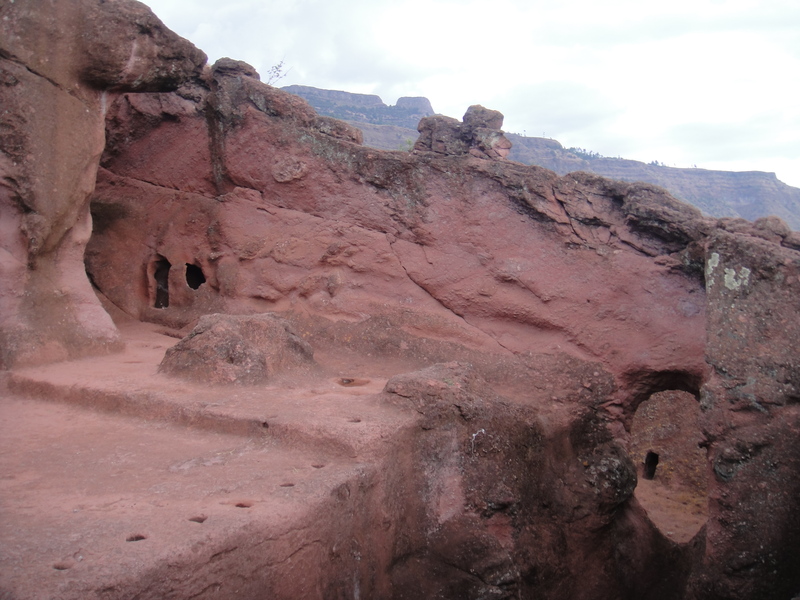 Bet Abba Libanos is unique among Lalibela’s churches in that the roof and floor remain attached to the surrounding rock. 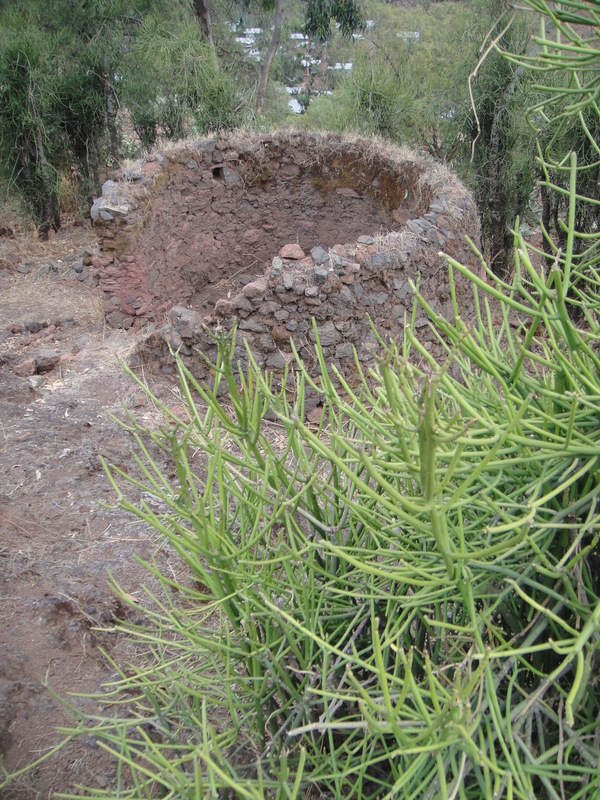 This gives the impression that the church is growing from the rock and provides a vivid idea of the work required to excavate these churches. Curiously, although it looks large from the outside, the interior is actually quite small. 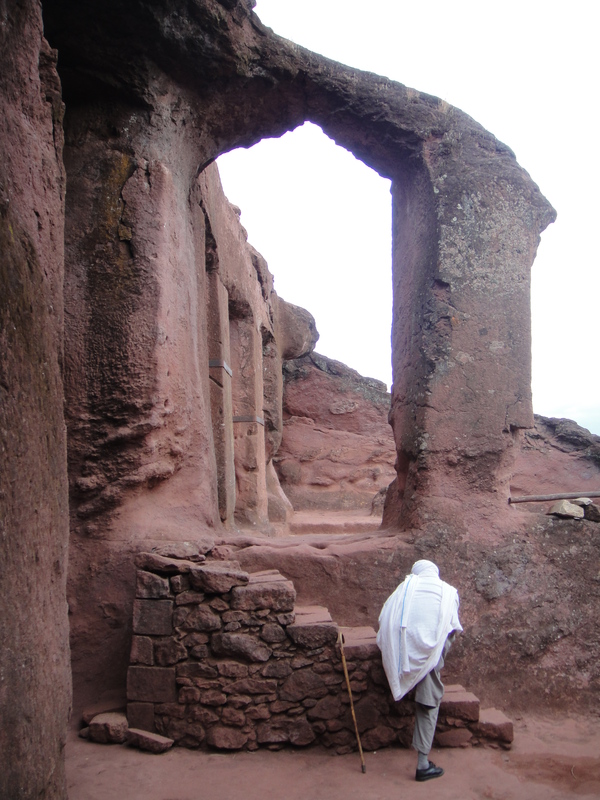 The locals will tell you that the church was constructed in a single night by King Lalibela’s wife, Meskel Kebra, with a little help from angels. You can probably guess what I think about that. With its entrance flanked to the west by a sloping sliver of carved rock known as the “Way to Heaven” (For us it was the way to a clearing filled with animal droppings), this imposing church marks the main entrance to the southeastern group. 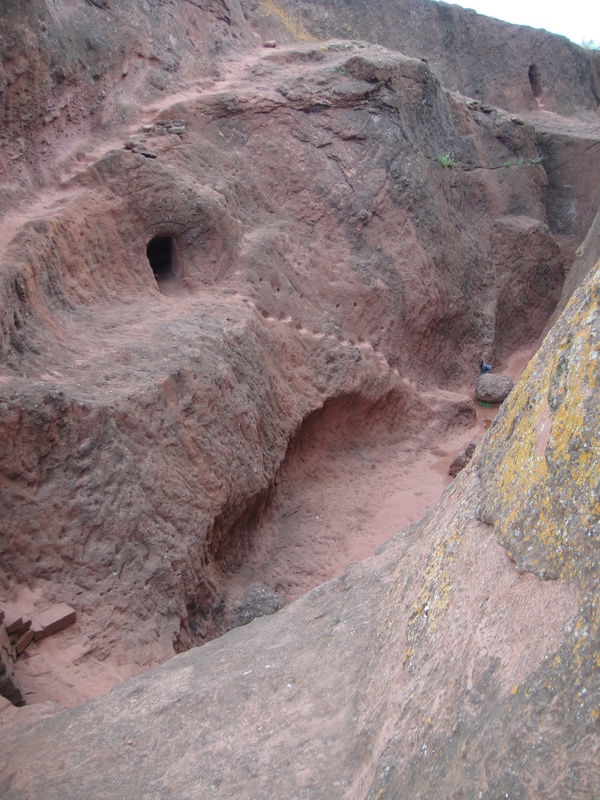 Unlike most Lalibela churches, its entrance is at the top and is accessed by a small walkway, high over the moat-like trench below. This, along with its curious, irregular floor plan, has led scholars to propose that Bet Gabriel-Rufael may have been a fortified palace for Aksumite royalty as early as the 7th and 8th centuries. 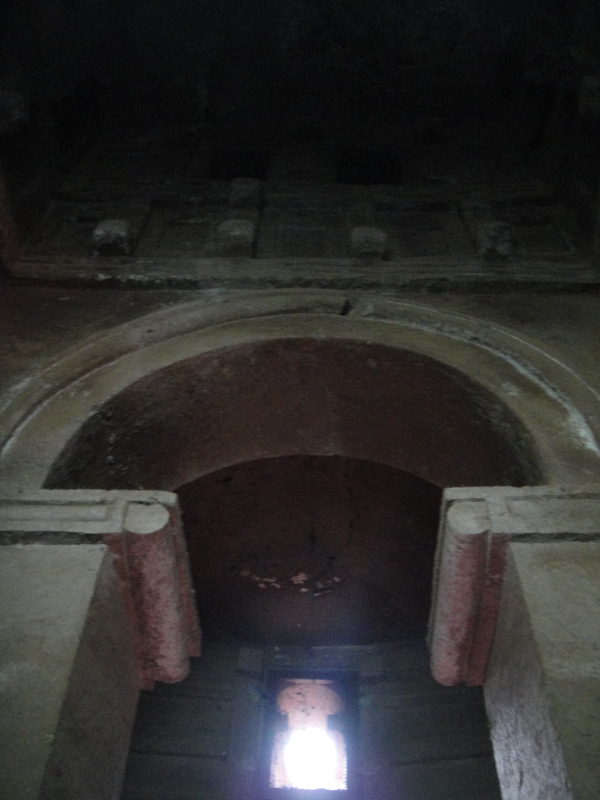 Reached via a long, narrow and pitch-black tunnel that starts from Bet Gabriel-Rufael, this church may have started as something very different. 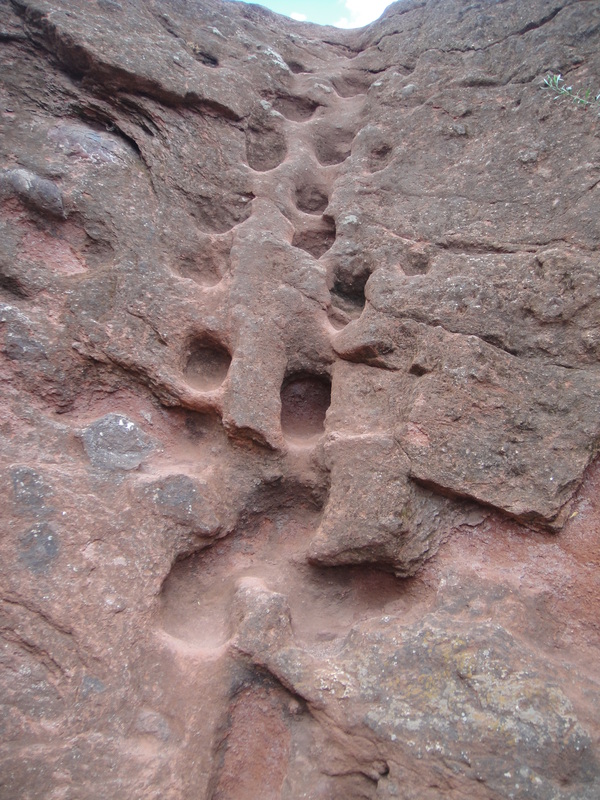 The discovery of ankle shackles among other objects has led archaeologists to believe that the building may have served as the town’s prison or house of justice. Due to a large section of roof collapsing, the interior is a fraction of its former size. Inside crude paintings are affixed to the wall with a mixture of straw, ox blood and mud. 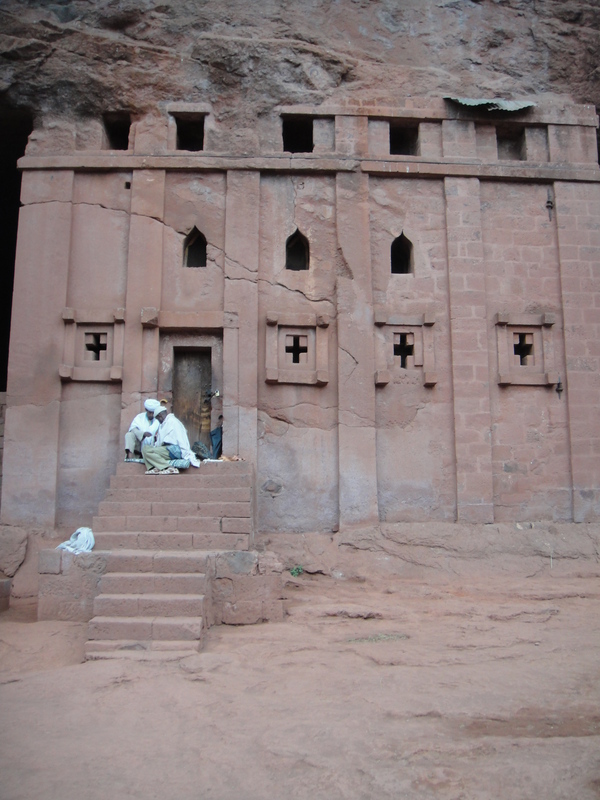 Freestanding and monolithic, the Bet Amanuel is widely considered one of Lalibela’s most finely carved churches. Some have suggested the church was the royal family’s private chapel. 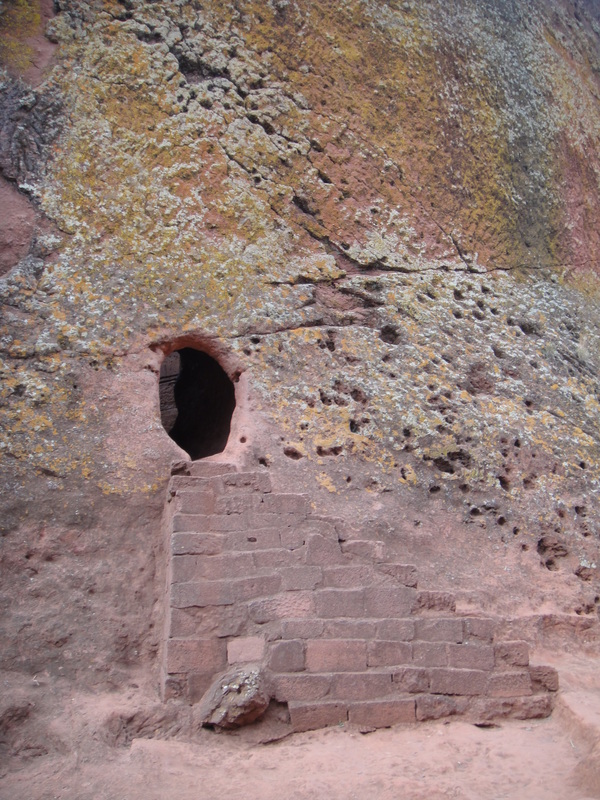 Although not accessible, there’s a spiral staircase connecting the four-pillared walls to an upper gallery. 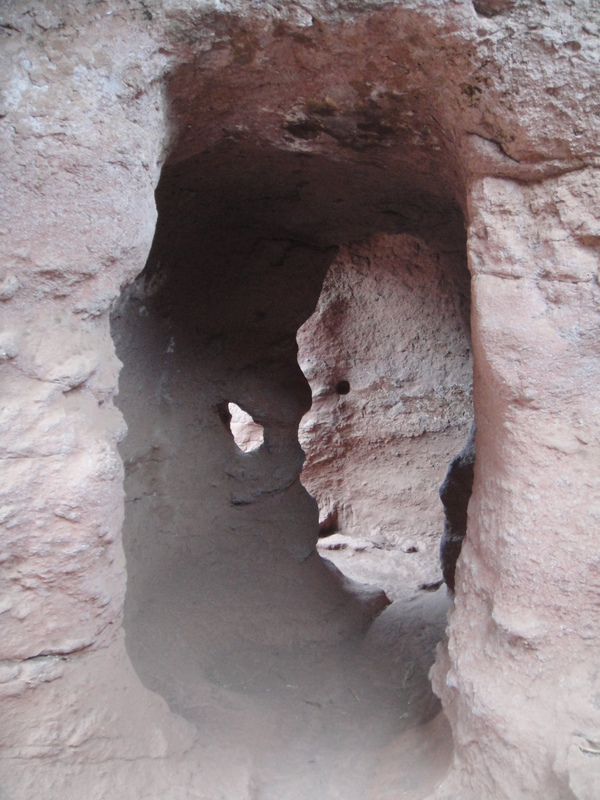 In the southern aisle, a hole in the floor (beneath the ubiquitous donation box) leads to a long, subterranean tunnel (one of three) that connects the church to Bet Merkorios and Bet Gabriel-Rufael. Outside you may see the occasional “sacred bee” flying around. Behind a high door in the courtyard’s southern wall is their hive. 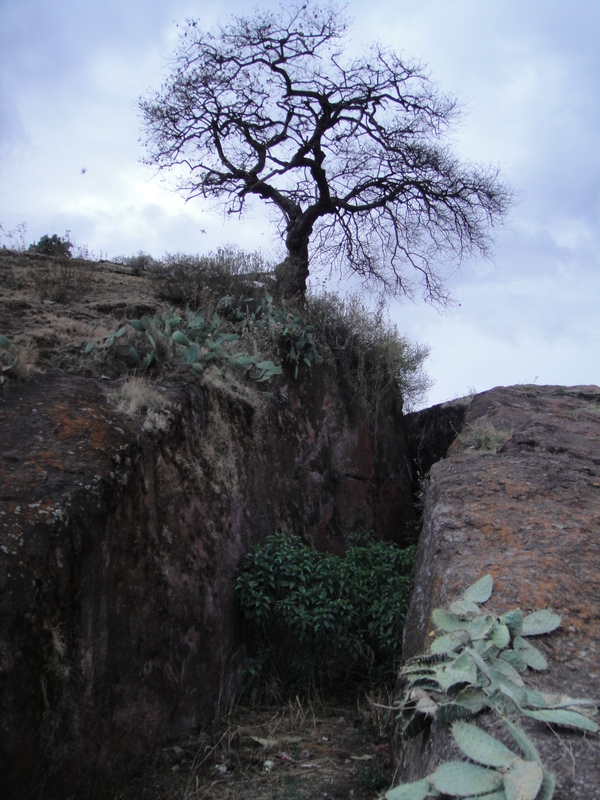 Throughout Ethiopia, honey produced in churches is believed to possess special healing properties. Although visitors come for the churches, I had more fun outside of them. 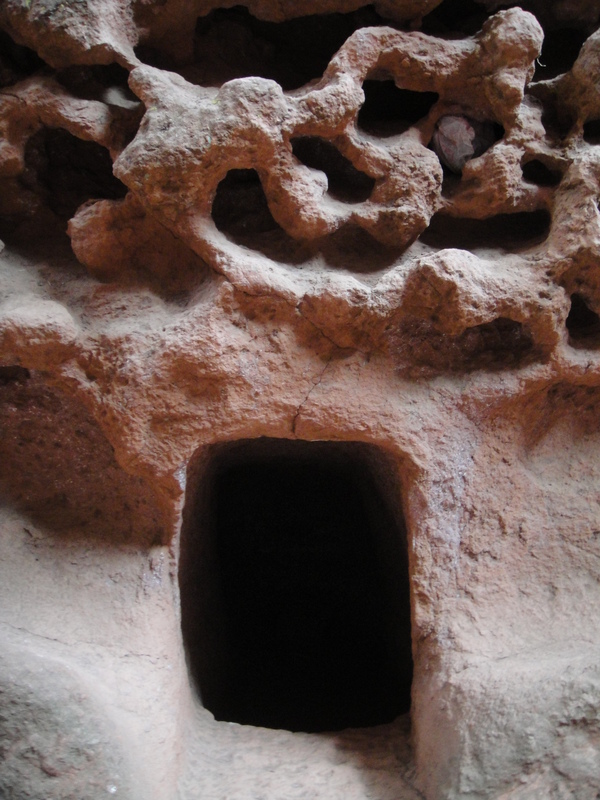 The southeastern group of churches in particular was surrounded by a labyrinth of passageways, tunnels, hidden entrances and carved channels that I thoroughly enjoyed exploring. 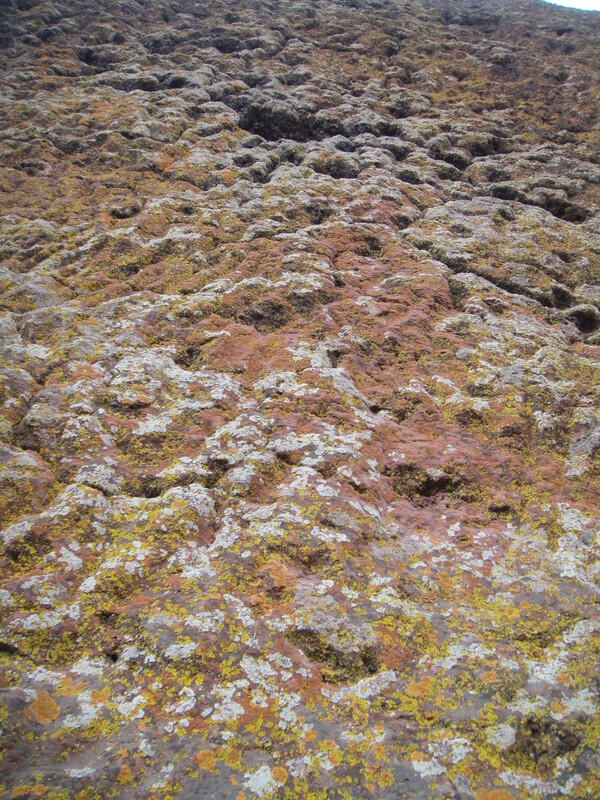 How great is this rock for climbing? 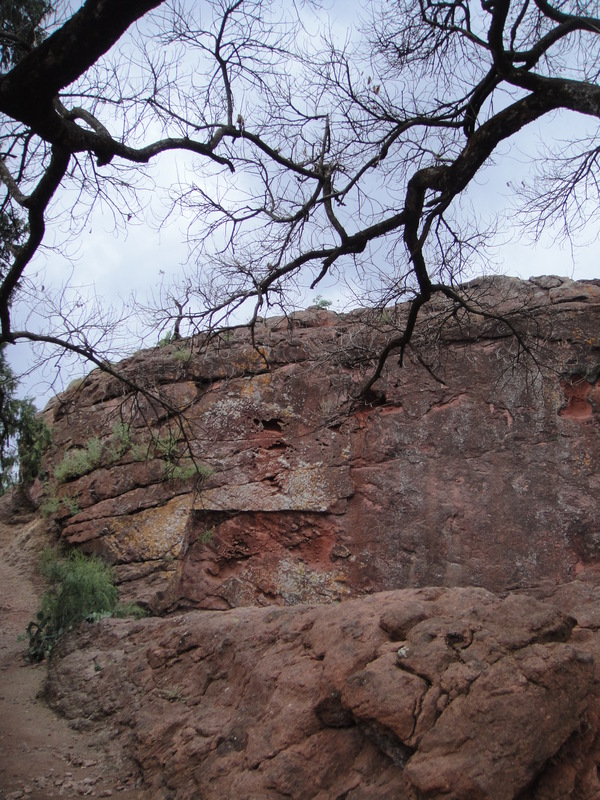 A view of the same cleft from above… I wonder what its purpose was? 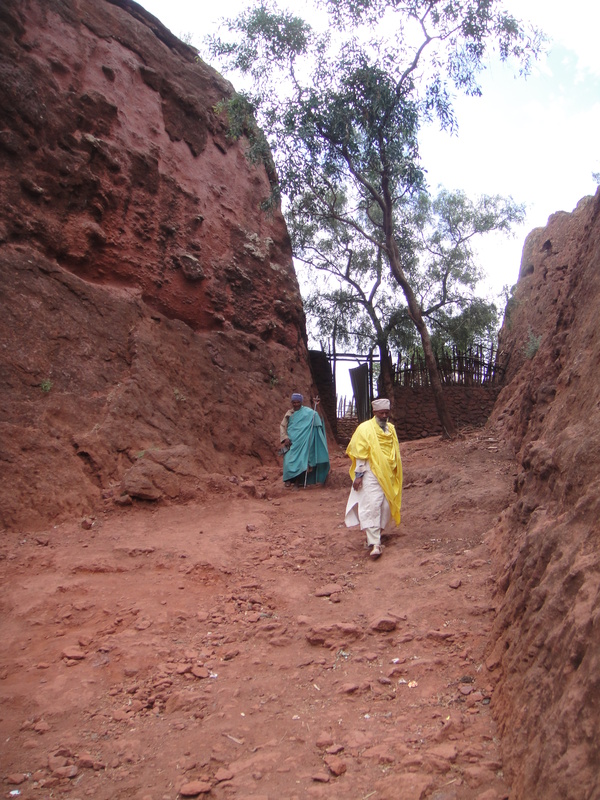 It got dark before we could explore every part of Lalibela’s southeastern church group and we had to leave Lalibela the next day. So, there are passages (such as the one below) that remain unexplored by Team Ames – which is unfortunate because the southeastern group was my favorite set. 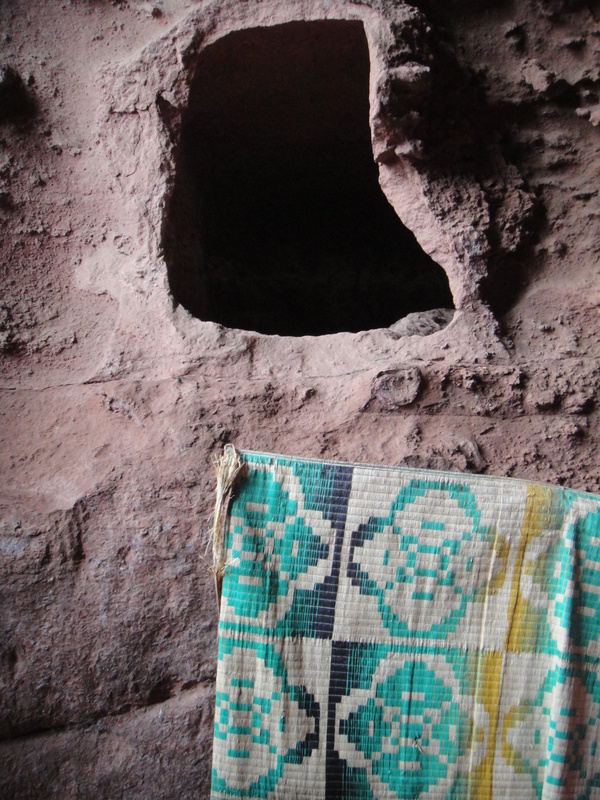 If you find yourself in Lalibela, I would suggest heading straight for the Bet Giyorgis and the southeastern group of churches. And be sure to tear yourself free from the money-hungry priests and locals offering to serve as “guides” in order to explore on your own. You’ll have a much better time and will uncover some pretty interesting places they wouldn’t bother showing you. 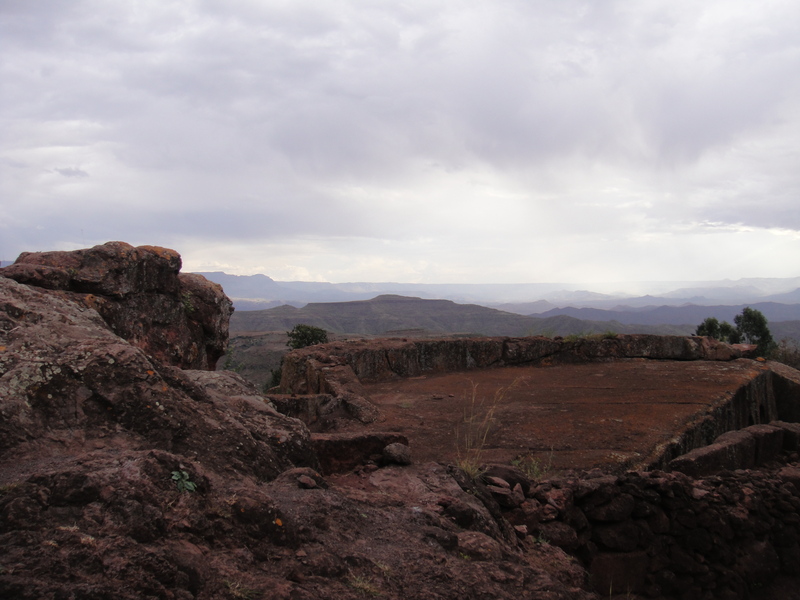 Tags: Bet Abba Libanos, Bet Amanuel, Bet Gabriel-Rufael, Bet Lehem, Bet Merkorios, Ethiopia, Justin Ames, Lalibela, Team Ames, The Rock-Hewn Churches of Lalibela, The Southeastern Group. Bookmark the permalink. The best advice you could give, as you did, is NOT TO HIRE A PRIVATE GUIDE. 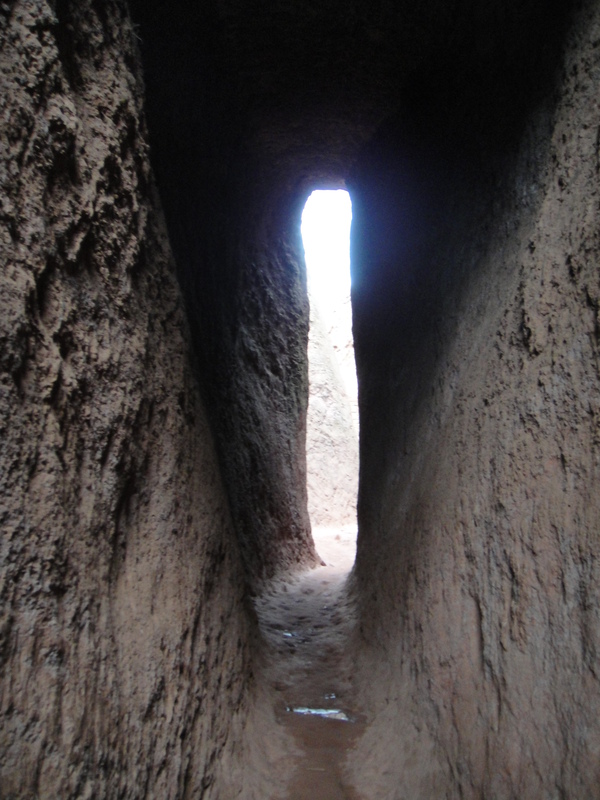 All around Lalibela, I haven’t seen anyone, other than us, visiting the churches without a ripping off guide. They are extremely boring, as I occasionally stopped listening to them, and they won’t take you to the most unexplored and interesting areas. They just follow the usual “touristic route”. Banal.